Well, I set a Goodreads reading goal every year; however, I don't really join in other challenges or readathons. The reason is not lack of interest. The problems for me are 1) time commitment to get books read in a certain period when I might also be getting ARCs from publishers/NetGalley and 2) cost and time to get the books. Living in Australia is a pain book-wise. They often cost 2-3 times as much here as they did in England, so to get them for a reasonable price, I have to buy overseas and that means waiting for shipping etc. Many of the monthly group-reads I see would be pointless for me as by the time the books arrived the month would be over. I also don't have a huge amount of spare cash to spend on books so I'm very selective about my purchases. He has not shaved this morning. 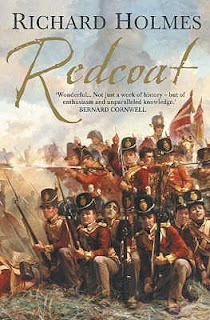 Delving into the history of the period – charting events including Wolfe's victory and death at Quebec, Wellington's Peninsular War, Waterloo, the retreat from Kabul and the Sikh wars – celebrated military historian Richard Holmes provides a comprehensive portrait of a fallible but extraordinarily successful fighting force. I like non-fiction on the whole, but I must say that I am finding this one a little dry at times and will be glad when I finish it. Thanks for stopping by. Exactly--my TBR is always full to begin with. I don't do challenges. I used to try but after a number of epic fails, I gave them up. This isn't something I'd pick to read. The 56 sounds way too scholarly for my reading tastes. This week I have Come Sundown by Nora Roberts. Happy reading! Yeah, I have to say that, even for me, this one is turning out to be a bit dry and plodding. I'll finish it, but I will look forward to swapping back to some fiction for a little light relief when I'm done! Probably not for me, but the excerpts did pique my curiosity. Thanks for sharing, and for visiting my blog. Not sure this book would be for me, but I hope you love it. Happy weekend! Ah, the dreaded typo. I hate them too. This book is interesting but a little too dry for me to say that I love it. It will probably get about 3-3.5 stars when I review next week. I understand about the lack of time to commit. That's one of my biggest problems with participating in read-athons and group reads as well. I've often used reading challenges as a way to work my way through my existing TBR piles, and so I don't need to spend money on new books. I already own them. When it comes to group reads, however, having to spend money can be an issue. I am not familiar with Redcoat, but it does sound interesting! Good idea to use the challenges to help you clear your current TBR. It's certainly informative; however, it's pretty dry and academic reading. I love that these letters and diaries were preserved long enough for someone to explore. Makes you think of how much we don't know of the past because letters and the like did not survive. Happy weekend! Yes. Although I'm finding the book a little dry overall, I am enjoying reading the snippets from contemporary accounts. Oooh! I love your quotes! Here’s my Friday 56 ! Any challenge that requires me to buy a book (that I wasn't already planning on buying) is not for me! That book sounds interesting, but not loving the excerpt. It's turning out to be interesting but a little dry. Thanks for stopping by. That sounds like it could be a fascinating read! Thanks for stopping by, Lauren. See you next week. Same with me about time wise with readathons, I just don't have the time know to do them. 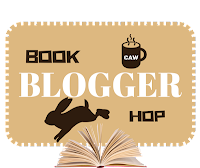 Thank you so much for stopping by my blog hop Nicki!